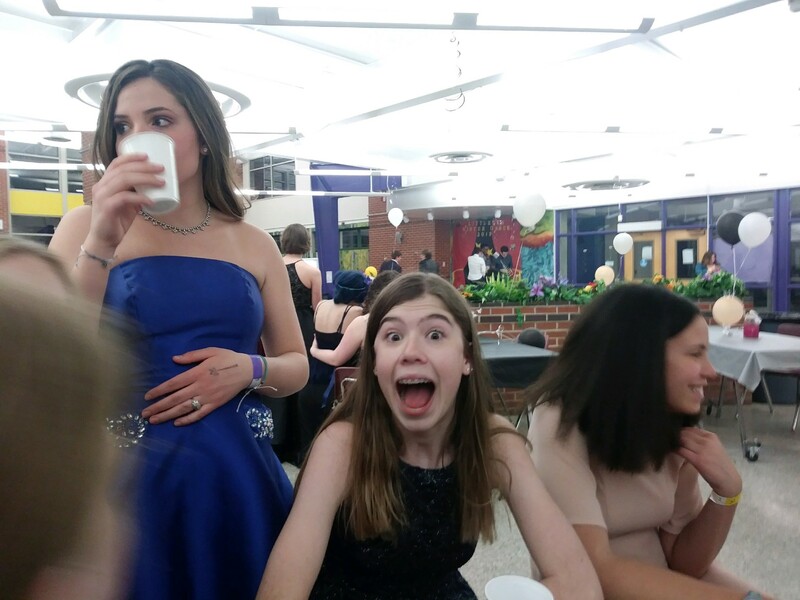 Saturday, February 9 was the 2019 winter formal. This year, the dance was Hollywood themed, and fittingly there was a red carpet leading into the gym. Although many students came dressed in formal wear, some groups dressed with the theme. Costumes ranged from pink ladies to cavemen. The DJ was great, with a variety of music from the “Cupid Shuffle” to Cardi B. In the cafeteria, pizza and juice were served for those who needed refreshments. Language Arts teacher Mr. Thom even set up a Kahoot for students who needed a break from dancing. “I had a lot of fun. Not as much fun as homecoming, but it was nice that there were less people,” said freshman Cadence Adams. Even though the spirit days were not widely participated in, the winter formal had a good turnout.